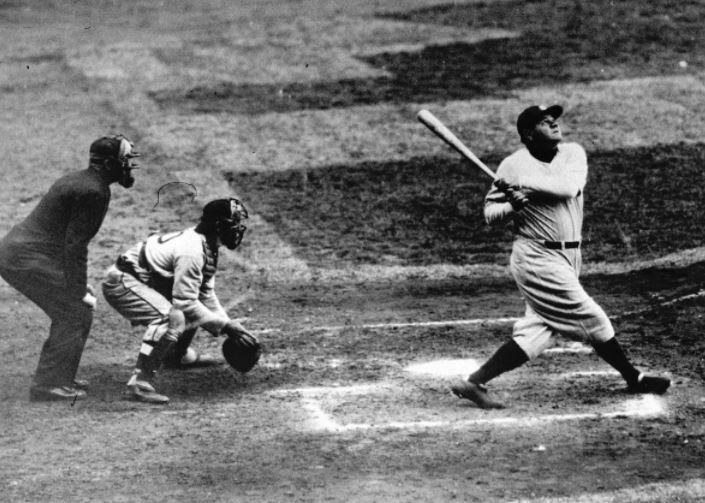 Listen … It’s Babe Ruth! Look, I’d love to sit down and write you a long blog post this morning. Really, I would. But, you wouldn’t read it anyway, because, as we learned in my last post, no one reads things anymore. Babe Ruth, apparently, was on to this “I’m never reading words again” thing the internet has cooked up. So, perfectly timed to coincide with the death of the written word, a long-lost radio interview with Ruth has shown up. No reading required. Just listening. To Babe Ruth. The interview was part of an Armed Services Radio Network program recorded during World War II. It turned up recently in a school archive in Connecticut. What did Ruth think of fastballs?